This month, the editorial team of NCT Magazine interviewed Lieutenant Colonel Jorge Frias Barrera, the 601st CBRN Company Commander for the Armed Forces of Argentina. His interview brought forth knowledge from his years of experience in the security and defense sector in Argentina. Lt. Col. Barrera's insight into the world of CBRNe gives a unique account of Argentina's CBRN incident management preparedness and how civil-military collaboration can improve responsiveness in an attack. Lt. Col. Barrera has served in the Army for twenty seven years. He graduated from the Command and General Staff Course of the Staff College and Joint Staff College with degrees in International Relations and Strategy. In addition to his bachelor studies, Lt. Col. Barrera has followed courses at the USA CBRN School, German Engineering school, and the NATO Engineer Company Command. Recently, he was selected to attend a regional exercise in chemical emergency response in the Dominican Republic, which will take place from October 25-19 of this year. Lt. Col. Barrera is also an advisor in the planning for the Olympic Youth Games and the G20 Summit. What is the role of the Army in the CBRNe security and defense sector in Argentina? Before answering this question, I would like to clarify that we don´t use CBRNe activities as an integrated concept. We only train our CBRN capabilities. Therefore, I will use this term only as an integrated concept. The role of the Army in CBRN defense is to protect the armed forces against the threat of a web of CBRN operations. We have the role of logistically supporting the security sector in the case of a major incident, where the capabilities of the security forces are overcome; the CBRN Army support can be requested and the defense ministry will make the 601st CBRN Company available to provide support for the emergency. At the same time, if a crisis committee is conformed, generally led by an official of the ministry of security, then one CBRN officer will take part in the decision-making process. The CBRN defense sector in Argentina has received great attention during this year due to events that will occur in the upcoming months. Argentina will host the 2018 Youth Olympic Games (YOG) and the G-20 Summit (G20S). Both events will bring many heads of state and other VIPs to the country at one time. These activities will test the CBRN Armed Force’s readiness, along with many other specialized agencies, ministries, first responders and healthcare professionals’ CBRN defense capacities that counter CBRN threats. Historically, CBRN response in Argentina falls under the responsibility of the Army due to its large military capacity. Lately, however, the collaboration with civilian actors such as fire brigades and the police has increased. How does CBRNe incident management and civil-military collaboration work in Argentina? In the 60´s, CBRN in Argentina was under the responsibility of the Army. As a result of a new vision in the 70´s, our capability was suspended until 1996 when we received new equipment and began training again. During that time, fire brigades built up their own capabilities. Today, the same fire brigades are very well-prepared. Currently, civil-military collaboration has increased; the purpose of this joint training is to improve the responsiveness and awareness of the first civilian, police and military response units against a potential CBRN accident. Additionally, this further advances this training partnership, emphasizing communication and interoperability. 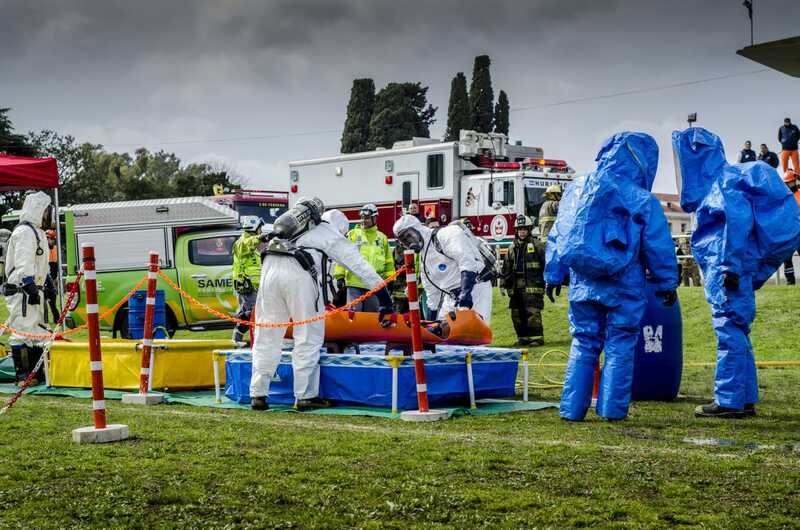 With multiple High Visibility Events (HVEs), like the Rio Olympics games and the Buenos Aires G20, hosted in South America, and emerging infectious diseases affecting the region, it is important to gather high-profile CBRNe actors to assess the preparedness and prevention skills of first responders. What do you think are the major CBRNe threats affecting Argentina and the region of South America at the moment? The level of CBRN threats in our country is the same as that for the whole region: low probability. However, this observation takes into account the fact that our country has been a victim of terrorist attacks in the past. The occurrence of HVEs in the upcoming months and the possibility of an attack at these events could produce a high volume of consequences if we are not ready to react. High levels of media coverage, densely populated settings, political and sporting events, the OYG, and the G20S could attract CBRNe related fundamentalist groups to our country simply because they seek to obtain their ends by any available means. Therefore, it is quite important to counter this potentiality. What was the role of the Argentinian Army in countering the Zika virus? The Zika virus didn´t have impact in Argentina when the epidemic occurred in Brazil. However, our department of health was ready to support and to counter any problems regarding the Zika virus. The health system strengthened itself internally and at the border regions in order to control the “aedes aegyptis” vector. How is Argentina preparing for the G20 summit when it comes to CBRNe preparedness? The CBRN preparedness for the summit is being done with great seriousness, effort, and dedication, working as a team with the ministries of security, health, and energy. There are many efforts that must be made to coordinate an efficient CBRN support plan. We have had many meetings with the agencies involved in the CBRN support to the G20S in order to know their capabilities and limitations. We are performing top table exercises, taking part in CBRN courses, executing exercises in the field, and acquiring CBRN material especially in the area of decontamination. I would like to mention the support of the Organization for the Prohibition of Chemical Weapons (OPCW) during this year, who gave us the chance to take part in three courses related to the assistance and protection against chemical weapons. The region has a long tradition in hosting HVEs, which facilitate the learning experience of first responders and allows for continuous improvement of CBRNe threat responses. What are the main lessons learned from Brazil’s World Cup and Olympic games? We had the opportunity to visit the Brazilian 1st CBRN Battalion. During that visit, the battalion educated us about their experiences in hosting HVEs. The battalion learned more about CBRN planning, coordination, and interoperability among agencies and were able to optimize safety procedures; they also updated their doctrine with the lessons learned and tested their CBRN materials. Do you conduct joint exercises with other countries in region? Yes, we conduct joint exercises with Chile and Brazil, but not yet in CBRN defense. 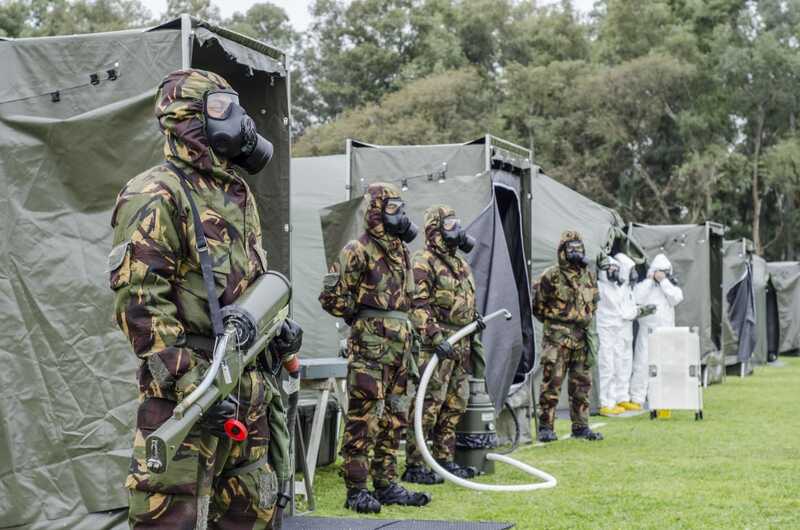 Nevertheless, last year, in an exercise of civil defense with Chile, a military CBRN team was employed to decon an area where a toxic industrial material had been released. It is highly probable that a new exercise will be conducted with the same purpose next year. NCT South America 2019 will take place at the Copacabana Fort in Rio de Janeiro, Brazil next February. What potential do you think a CBRNe-focused event gathering of South American first responders, directly after the G20 summit, has in terms of sharing lessons learned and best practices? Sharing lessons and best practices will save lives in the future. Additionally, hearing from the best civil and military organizations about their response to recent attacks, about their exercises and research will further improve the capabilities of our first responders. For some countries, it is the opportunity to keep updated on the current CBRN climate; for others, especially those that still do not have a CBRN capability, it gives the chance to get to know what is happening in the CBRNe World and perhaps the starting point to begin building a CBRN defense capacity. For all, it is a great opportunity to exchange point of views with the CBRN international community. Another point to highlight is the exhibition of different companies that lead the CBRNe market. They have the opportunity to showcase state of the art technologies that are not known in all parts of the world. In my case, it was quite important to attend NCT South America 2018 as a delegate because I could listen to CBRNe experts and make contact with companies that specialize in CBRN technology. As the leader of the CBRN defense unit for the G20S, it would be a great honor if I was given the opportunity to share my experience at an NCT event. How do you see the Argentinean CBRNe threat environment evolving in the near future? As I said before, the level of CBRN threats in our country is the same as that for the whole region: low probability. As it is now, I see that this level will remain the same for the foreseeable future. The global situation in terms of security can change quickly; a CBRNe attack has the ability to produce serious consequences. As a result, we must be ready to handle any problem of this nature and take into account that CBRN defense can´t be improvised. Regarding terrorism scenarios, CBRN hazards are not the most likely threat, but their unexpected use could have high consequences. It is important to mention that Argentina is a country with nuclear development for peaceful purposes. We have 3 nuclear plants, which must be carefully controlled in order to deter any attempt to produce damage. Or, in the case of an event, be ready to respond accordingly.